R. Kelly continues to maintain his innocence as more allegations of underage sexual abuse surface. The singer turned himself into police on Friday evening after he was charged with 10 counts of aggravated criminal sexual abuse. While he scrambles to come up with bail, the singer has been hit with a lawsuit from a new accuser who alleges Kelly sexually abused her as a minor. According to TMZ, Heather Williams filed a lawsuit against R. Kelly for sexually abusing her when she was 16-years-old. 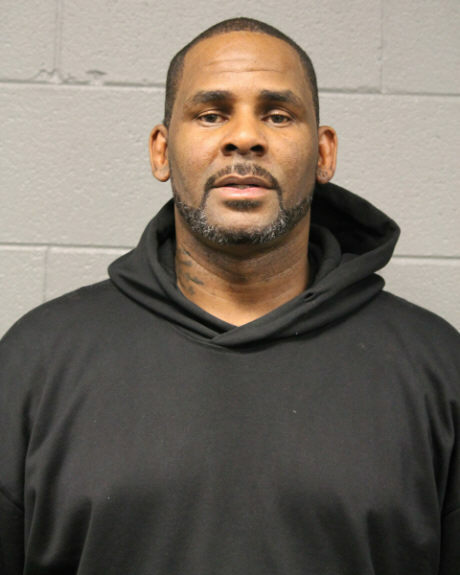 Williams claims that she met R. Kelly in May 1998 after he stopped to speak with her while driving by in Chicago. He later sent some of his people to meet her and her family at a restaurant. R. Kelly's associate allegedly invited her to come to the singer's studio and make a cameo in one of his music videos. She agreed, claiming she was "starstruck." She claims the sexual abuse begun in June 1998 and continued into her adulthood. She didn't specify where the alleged abuse took place. Williams says that she began to see a therapist in June 2015 when she "broke through her repressed memory." She says she suffered from shame, guilt, self-blame, and depression. She's suing Kelly for $50K. Sources close to the gossip website revealed that Williams' attorney attempted to try and settle matters out of court. In legal documents, Williams attorney, Jeff Deutschman, says that the singer's lawyer should contact him if they want to come to a resolution outside of court. However, Deutschman also says that if Kelly's camp doesn't respond to the letter, he will move forward with the suit. Peep the letter here.